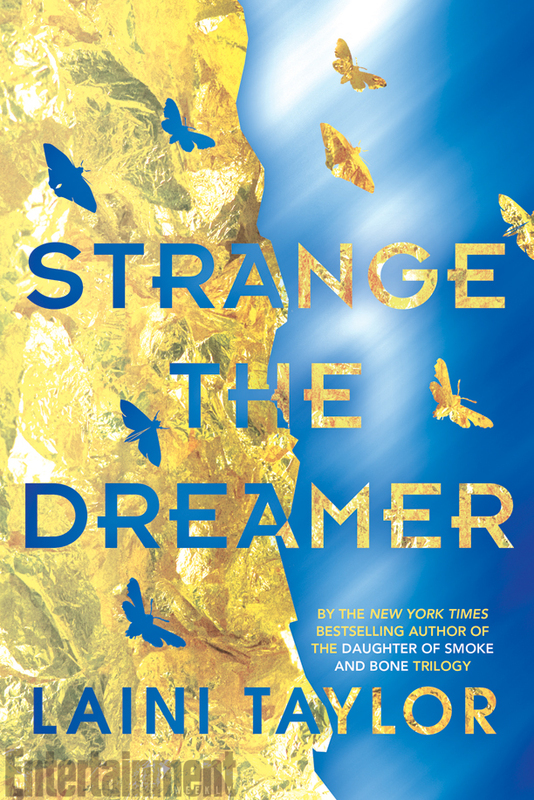 From Goodreads: The dream chooses the dreamer, not the other way around—and Lazlo Strange, war orphan and junior librarian, has always feared that his dream chose poorly. Since he was five years old he’s been obsessed with the mythic lost city of Weep, but it would take someone bolder than he to cross half the world in search of it. Then a stunning opportunity presents itself, in the person of a hero called the Godslayer and a band of legendary warriors, and he has to seize his chance or lose his dream forever. I’ve been turning this book over in my head for days now, trying to think of how to review it. I couldn’t even think how to sum it up, and am instead resorting to the Goodreads synopsis. I suppose that for the rest of this review, I will have to resort to bullets. – This book was amazing in every way. One of the best books I’ve read so far this year. – I was amused to discover that technically there are spoilery things in this book for the Smoke and Bone series, only no one would identify them as spoilery unless they’d already read the full series. This is totally standalone, even though there is a tiny connection that will only be seen by those who already know its there. Lovely! – Lazlo Strange is an absolutely fascinating character. He’s generous and kind and meek, setting him up to be a total stereotype in multiple ways, but at the same time he’s personable, witty, teasing, irritable, and grudge-holding. He has some of the best self-effacing humor I’ve ever read in a book, and he’s just all around likable without being annoying. – The friendships and various relationships/interactions in this book are outstanding. The conversations in particular feel real, making the characters feel real, making more of a connection to the book despite it being set in an entirely different world. – This is billed as YA but that’s deceptive. The characters who narrate are 17 at youngest and at oldest well into middle age. Lazlo is in his early 20s. Taylor keeps the gore to a minimum, and there’s nothing overtly sexual, but otherwise this would work well for both teens and adults. This has a very rich complexity and narrative, with many stories all entwined, and lots of thematic elements. – I’m not sure if it’s me or the book, but I found the pacing fairly slow, especially in the first half. It wasn’t plodding slow or hard to read, more like I just enjoyed taking it one to two chapters at a time, and setting it aside for awhile. I adore books that do this and I never found it boring, so this isn’t a complaint at all. – I can’t tell you how many nights I had dreams set in this world. – I’m planning on revisiting the book via audio after the Readathon. There’s a lot of hints right from the beginning that don’t get deconstructed until the end, and I’d love to read through it a second time with clearer sight. – Lastly, I’m intrigued about this world – and possibly others – and can’t wait to learn more in the next volume. Strange the Dreamer had the perfect end point: one climax over, a new conflict begun. And yes, I’m sad that I have to wait until next year to get to the second book. If you’re someone who doesn’t like to wait, perhaps put this one off until the entire series is out. If you’re like me, though, you should definitely read this one sooner than later. Again: amazing. Reread via audio later in 2017: This was just as amazing on audio. Steve West does an amazing job, and it was great to revisit this world in a different format, which almost made it seem like a different perspective. This entry was posted in 2017, Prose, Young Adult and tagged atmospheric, audio, dream-invader, favorite, memorable, multi-read, POC, psychology, reread, speculative. Bookmark the permalink.